A former Ontario Labour Board vice-chair has been deemed suitable to preside over an ongoing proceeding after the responding party complained that the vice-chair recently resigned from the board to pursue employment with a union. 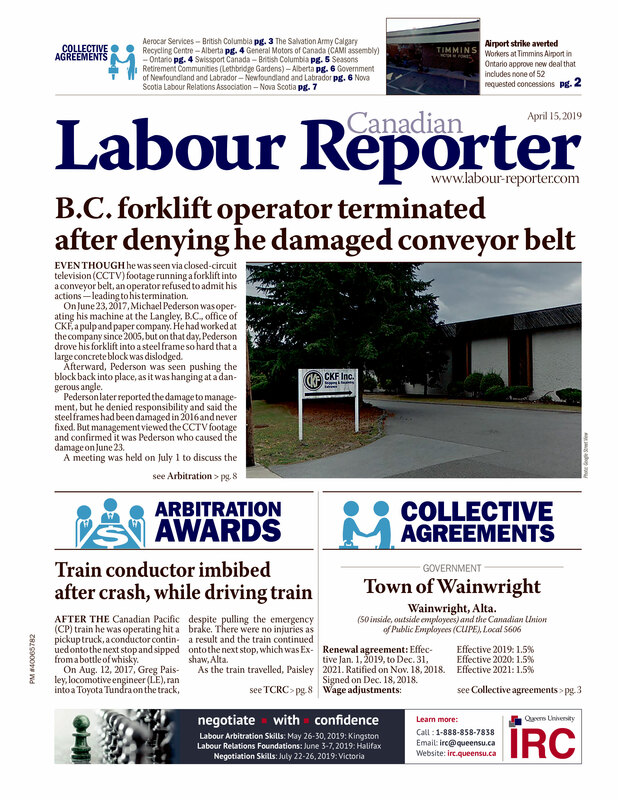 Labour Board vice-chair Mark Lewis had already presided over nine days of an unfair labour practice complaint when he resigned from the labour board to pursue employment with the United Brotherhood of Carpenters and Joiners of America. Under Section 110(7) of the Labour Relations Act, however, the chair of the board may authorize the member to continue to hear a case after he or she resigns. The responding party, Islington Nurseries Limited, argued that it would be unfair for Lewis to preside over the hearing because his role with the union will foster the appearance of bias. “[W]hile he may not be closely tied to the specific issues in dispute in this particular case, it is not unexpected that he will be closely tied with the trade union perspective,” the nursery wrote in its complaint. Fishbein dismissed the argument, though, saying that “no right-minded person” can apprehend bias solely because of involvement in the labour law field, either previous to his or her appointment to the labour board or because he will return to the practice subsequent to the appointment. He added that before his appointment as chair of the board, he himself practiced as a union labour lawyer and often represented the union.